I was very pleased with the excellent service I received while my car was being repaired. The manager made sure I had a way home while my car was being repaired. They even returned my car to me when it was ready. Willie (the manager) explained everything he was doing to my car. He explained it in a manner that was easy to understand. While my car was being repaired, they kept in constant contact with me letting me know when the part would be ready and how long it would take to fix it.. They didn't try to rip me off as so many places do. This industry needs more honest people like the staff at TransKing. They were very caring. I would like to especially thank the staff at TransKing in Arroyo Grande. Willie, the manager, Terry the customer service rep. and Nick the mechanic were outstanding. They were all wonderful and I can't thank them enough. I will definitely recommend their service to my friends and family. Quite possibly the BEST auto service I ever received comes from Trans King. My brakes went out during my drive to LA on Xmas eve. Trans King was the only auto repair shop that was open. Marcos, the mechanic and Isabella, the clerk not only allow me to leave the car at this shop, but they went out of the way to look for any rental car agency that may have been opened. Then, Marcos drove me to Santa Maria which was half an hour away; so that a friend could pick me up. On Monday, they repaired my brakes and picked me up from the airport in SLO. They did a great job at keeping the costs down, replacing all four rotors and pads at a very reasonable price. 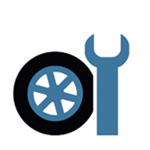 If you need your auto repair, this is the place to go.. The prices are reasonable and their honesty and customer service are the best! Hi Willie, Just wanted to thank you and your shop for your honesty, patience and hard work, My BMW is humming like a bird and I have you and your staff to thank, I will definitely be referring family and friends to your shop. Trans-King does every repair right!?? By Steven - Apr 14, 2010 Willie Loera's shop in Arroyo is the perfect blend of state of the art technical knowledge and equipment with old school quality and attention to detail. He fixed a really strange electrical problem for my dear old dad after 3 other shops had failed! And even when he had to spend more time than he had anticipated, he stuck with his original quote- saying: "I'm just trying to win your business". I've done my share of auto repair work and as a manufacturing engineer I know quality workmanship when I see it. I think Willie should should consider changing his company's name to 'Auto-King' because their capabilities go far beyond transmission work. We're going to call them first from here on. Great work--Truly 5 stars!? User Rating: 5 out of 5 stars by Ira 08/18/2010 We have been taking our 1997 Plymouth Voyager to Willie's shop since 2006. In 2008 we had a transmission problem. Willie's shop put in a new transmission perfectly. We have no transmission problem since then. Also in 2008 we had a very irritating oil leak problem. The garage floor would have puddles of oil almost every day, sometimes small and sometimes large. Willie's shop fixed the problem once again perfectly. There is no oil leak any more. And then we noticed raw gas smell in our garage every now and then. Willie checked the car's gas line and could not find any leakage. He advised us to bring the car when the smell is very strong. About a month ago we felt the smell was very strong, and we drove the car to Willie. Willie opened the hood, and suspected the junction between the rubber tube and the metal tube, noticing some moisture at the junction. He asked one of his folks to cut about 1/2" of the rubber tube, and reconnect. Since then there is no gas smell in our garage. Willie even did not charge for this small repair. If we had taken the car to the dealer, it would could have been an expensive repair. We take our car to Willie for any problem, small or complicated. We recommend every one to try out Willie's shop at least once. Willie will work with you amicably, and will never disapoint you. Willie Thank you for your service. I was in a bind and you helped me both with finishing the car in time for my trip and allowing me to pick up the car tonight. I appreciate it. Happy Thanksgiving to you and your family, On Nov 23, 2010. 1/4/2011 My 4runner was getting really low gas mileage so I took it in to Trans King to get it looked at. After a quick test drive, Willie was able to diagnose the problem... I was driving with the overdrive off all the time but didn't know it because there was no indicator light. A visit to the mechanic rarely ends with a $0 bill, but this was the 2nd time we had an experience like this with Willie! Honest and friendly service - we won't take our cars anywhere else. 7/19/2011 Wow! Thank you Willie and the entire crew at Transking! These guys are knowledgable, informative, fair, and get the job done. Not only that, Willie really went above and beyond the other day when my Jeep would not start and it was Friday after the shop closed! It's people like these who run great business. I trust Transking with all my cars. I took my vehicle to Trans King to get a second opinion. I was told by the first repair shop, tha..."